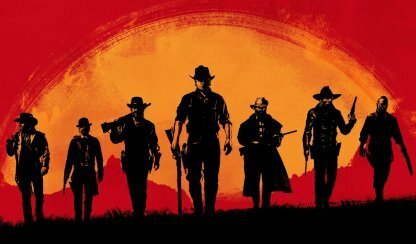 New to Red Dead Redemption 2? 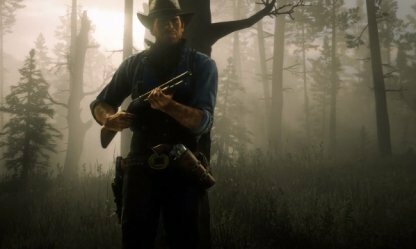 Here's everything you need to know to survive in the Wild West, including combat tips, weapon loadouts, and even survival essentials. 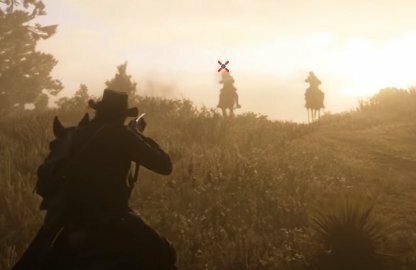 Using the Dead Eye will slow down time and allows you to mark your enemies to shoot down multiple targets in quick succession. When fighting against a crowd, time your Dead Eye when most of them are out of cover. 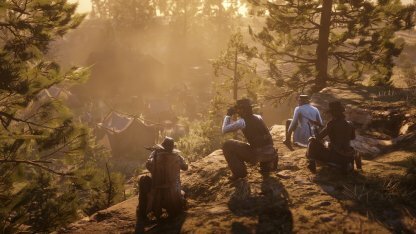 Dead Eye will be unlocked in the Old Friends Mission in Chapter 1. 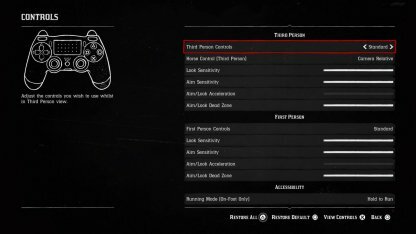 You can activate it by pressing R3 while aiming in the PS4 controls. 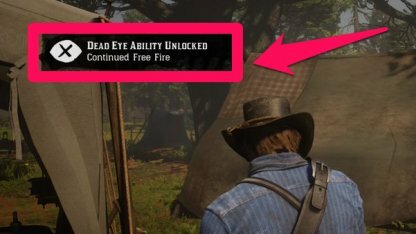 Your Dead Eye ability will be enhanced throughout the storyline to allow you to manually mark targets and see vital areas of the body. You may also enhance your Dead Eye level by usage to allow you to be in Dead Eye mode longer. Dead Eye meters, unlike other statuses will not be refilled automatically. 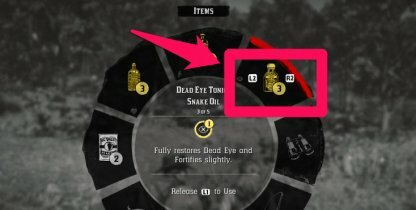 Use tonics such as Snake Oils or kill enemies (+1 for normal kills, +3 for headshots) to refill your Dead Eye meter. Do NOT go in guns blazing in this game. Make sure to always stay behind cover when engaging in combat. Relocate often and try to always put a large cover between you and your enemy when engaging them. Try to eyeball your shots from safety by centering your target near the center of the screen before aiming from the cover to shoot. This will minimize the time you need to aim out of cover, and hide back in before they can counter attack. 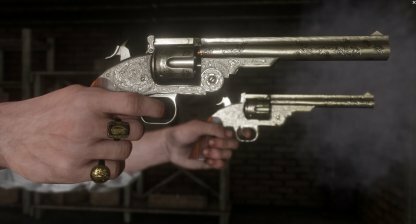 With its fast fire rate, good damage per shot, and abundance in ammo resources, the Revolver is an ideal weapon in most combat situations. It's also one of the fastest weapons to aim with Dead Eye! Repeater are versatile weapons that can function across close- to mid-range. 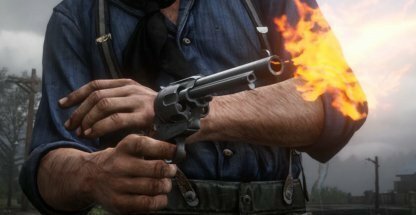 Thanks to its lever-action rifle, it can also fire fast, a good thing to have when dealing with multiple enemies. The high damage output of Shotguns is devastating in close range, capable of killing enemies in one shot! They're best used in confined spaces where enemies will have limited moving space. Continuously using the same weapon has its benefits as the more Arthur uses a weapon, the better its stats will be. This include improvements to accuracy, reloading speed, and even firing speed! 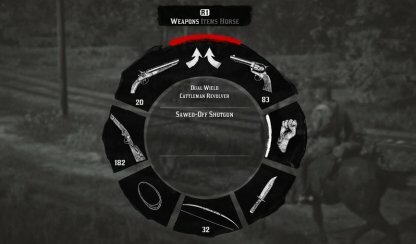 Make sure to always have the right weapons with you by checking your loadout every time you have to leave your horse behind. This will ensure you are well prepared if ever you get into a fight. 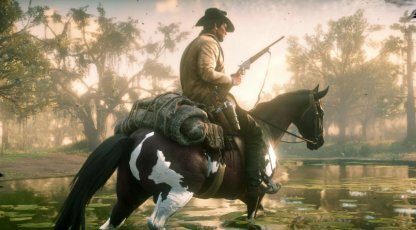 Main hand weapons such as repeaters and bows needs to be manually picked up from your horse's saddle to use when on foot. 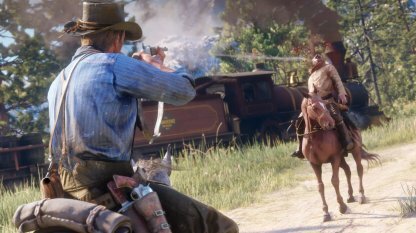 Pick up your long arms by holding L1 near the horse and pressing L2 / R2 on the appropriate weapon slot. You may select weapon of your choice by using the Weapon Wheel by holding L1 button and the Left Stick. Have a loadout that can accommodate any situation you might gets into, may it be rapid-firing short range weapon to precise long range rifles. This boils down to personal preference so check your options first! See which controls scheme feels right with you when starting a game. You can also change your sensitivity to help you aim better. With fast aiming integral in gun fights, it's best to have your Acceleration set to max and dead zone to be set in zero to be able to aim as quickly as you can. You may set your sensitivity according to your preference. Take care in knowing the status of your Health, Stamina, and Dead Eye Cores at all times. They deplete over time and having lower core stats will reduce your overall HP, Stamina, and Dead Eye meters. Core Statuses are shown as shaped icons near your minimap, determining the amount and regeneration rates of your Health, Stamina, and Dead Eye. 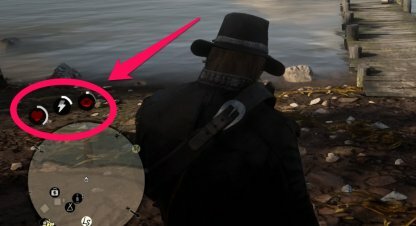 The circle around these icons will show the current amount of Health, Stamina, and Dead Eye. How Do You Maintain Core Statuses? When empty, recovery rate of your Health, Stamina, and Dead Eyes. Use Tonics and Food to regain your core statuses or sleep at camp and in hotels. 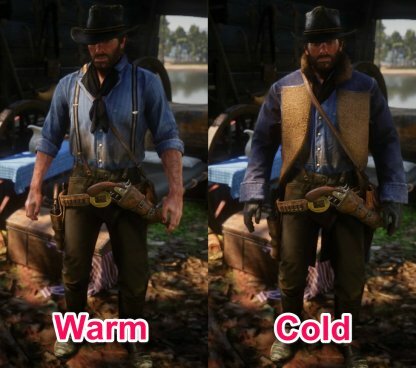 Make sure that Arthur is outfitted in the right set of clothes depending on the weather condition of the area he is in. You may check whether your outfit is appropriate for that climate from your wardrobe. 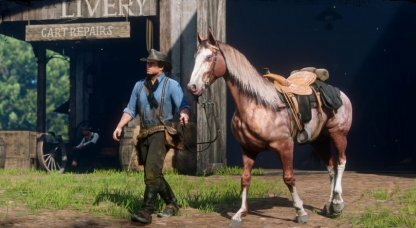 You may store up to 3 sets of Outfits on your horse. 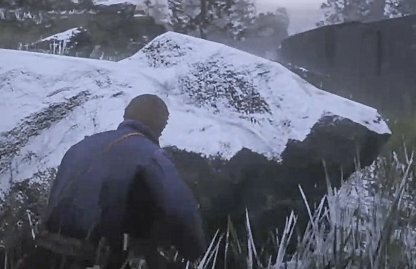 Arthur will be afflicted with debuffs if he is wearing the wrong clothing in cold and warm areas. These debuffs will affect the core statuses, mainly the regeneration rate of Health & Stamina. 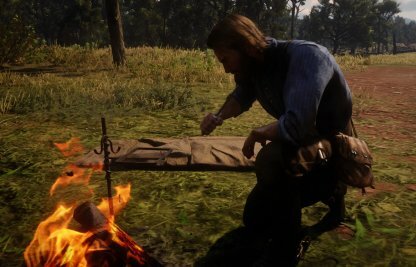 Arthur is bound by an honor system that is determined by the player's actions. 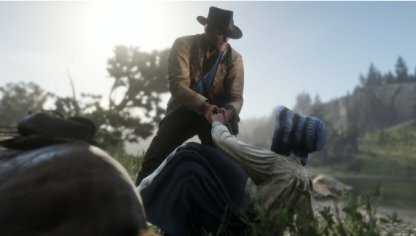 Doing good acts such as helping people our and sparing people will raise Arthur's honor, while questionable actions like stealing and robbery will lower it. Being a good person has its rewards. 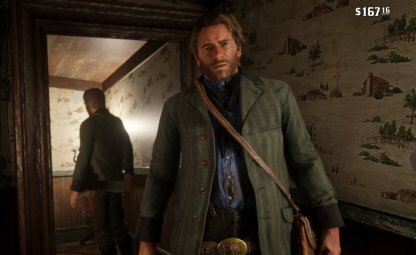 Arthur will receive various perks when he reaches certain Honor Levels, including lower shop prices and unlocking unique outfits. 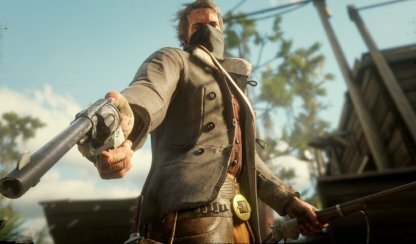 Arthur will receive a bounty whenever a crime of his is reported to the authorities. 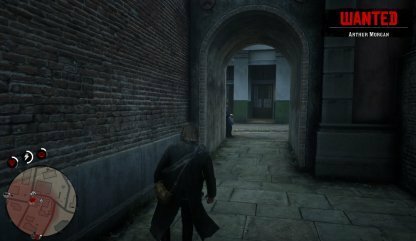 Having a bounty will cause Lawmen to apprehend you whenever you get on their line of sight. 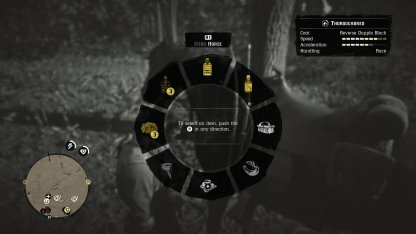 Equipping a Bandanna on Arthur will prevent him from getting bounties when committing crimes! However, a lawmen will still apprehend you if there is one near the scene of the crime even if you're wearing a bandanna. 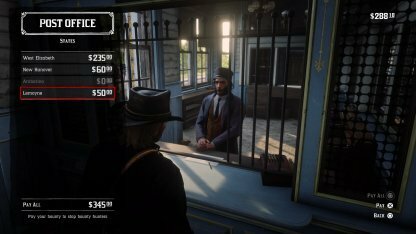 Quickly remove your bounty by either paying it off at train stations and post offices or surrender and spend time in jail. How long you will stay in jail is dependent on high your bounty is. Your horse is not only your main means of transport, but will serve as a essential storage in the Wild West. 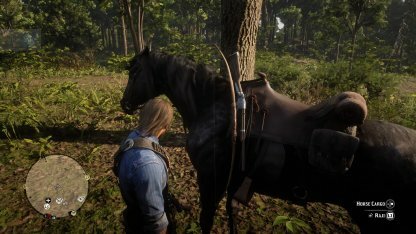 Taking care of your horse is almost as important as taking care of yourself in this game. 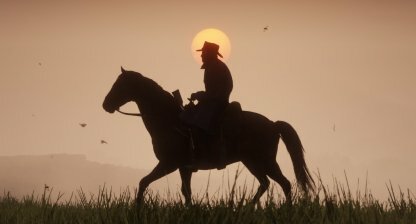 While sprinting on horseback (Tap X repeatedly), You can minimize your Horse's stamina drain by timing your button taps along with the horse's gallops. By doing so, you can keep your horse running at maximum speed while using little to no stamina drains. 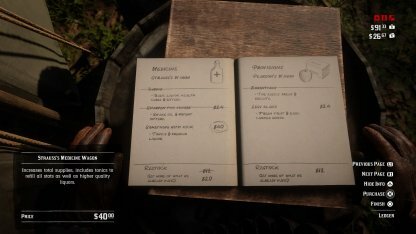 Horses also has its own Health and Stamina meters. Keep track of them when riding to ensure that you don't overwork your horse and that they will not die during your travel. 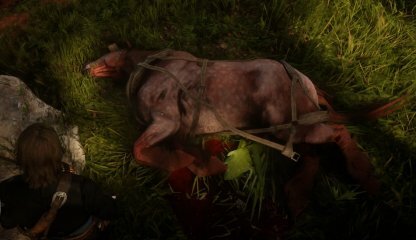 Horses will have permanent death when killed. Always carry at least 1 Horse Reviver during your travel, as they are the only way to save a horse when bleeding out. 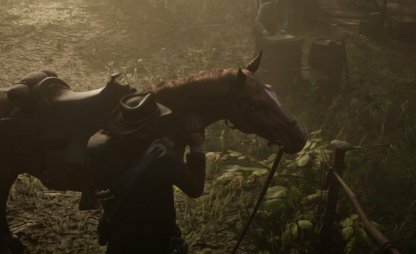 There are several ways you can acquires horses in the game. You can either buy them from stables, tame wild horses, or even just steal them off another rider. The better your bond with your horse, the higher its Health, Stamina, Speed and Acceleration will be. You can raise your bond with your horse by riding, brushing, feeding, and interacting with it. 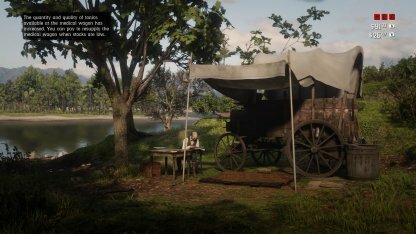 Save up some money to be able to upgrade your camp as quickly as possible! Upgrading the camp will unlock new features that will benefit your overall survival such as providing supplies. 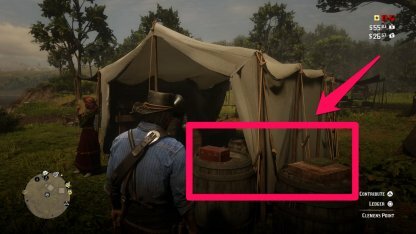 You may find a contribution box and ledger behind Dutch's tent (marked by $ mark on Mini Map). You can donate your money or items to up the funding, and select your preferred upgrade from the ledger. 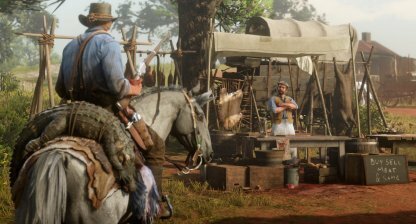 By upgrading the different facilities in the camp, you will gain access to better supplies before offered by your gang. This includes medicine, weapons, ammo, and provisions. 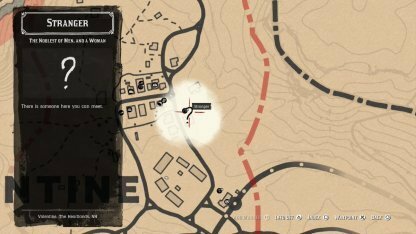 Upgrading the lodging two times will unlock the ability to Fast Travel from the camp. 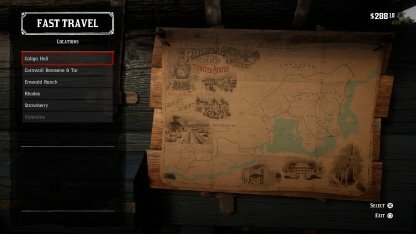 A map will appear in the back of Arthur's wagon that will act as the Fast Traveling hub. 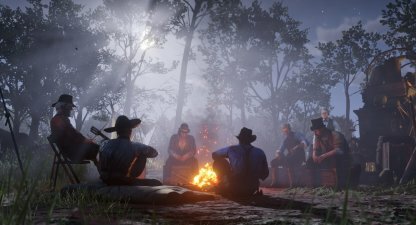 Keeping the gang fed and donating money to the camp will boost your relationship with your gang. Having a high enough relationship with them will unlock new missions for you to do! Whether to save up for the camp or buying a new weapon for yourself, it's always good to have money in your pockets! High quality pelts and meat sell for good money at butchers and traders. Make sure to bring in your kills as quickly as possible as lower quality meat will sell for less. 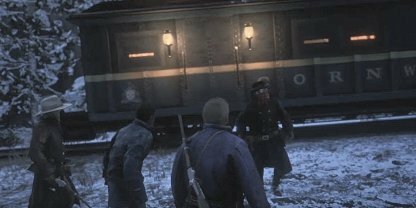 Robbing banks and trains have extremely high payoffs, but are considerably risky as you can get caught by Lawmen. Do it successfully though and you get around $ 1000 - $ 2000 per robbery. Bring back criminals to justice and get paid doing so! 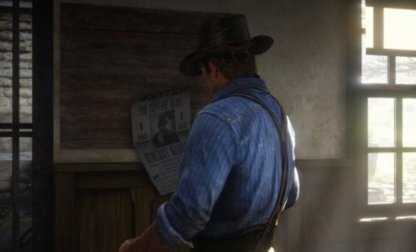 Head to the Sheriff's office to check for available bounties. Remember to bring back criminals alive as that will get you paid more. Make taming horses a business. Wild horse sell for good bucks at the stables once you've successfully domesticated them. You can do this by calming them down once you've lassoed them.